Lisa Burt loves scuba diving and seeing all the interesting fish. She also plays the flute and enjoys going on adventures, but her main focus is gymnastics. 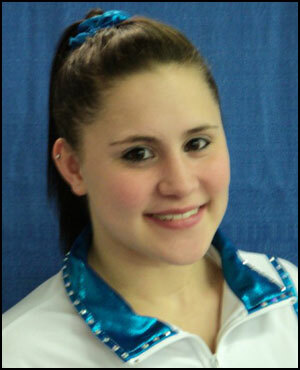 At age 16, the Port Orange, Florida-native is a member of the ACE Gymnastics Club. An honors and AP student, Burt would like to pursue a career in optometry or sports medicine. Her overall GPA is a 4.15. Due to spending every evening at the gym, she says much of her homework is done in the car while traveling to and from practices and meets. Burt began tumbling around her house as a toddler and her parents enrolled her in a gymnastics class. Her favorite event is the uneven bars because she loves the feeling of flying. Her best move is a double lay dismount. She would like to someday compete at the college level, hopefully in the Big Ten. "I always want to learn new skills and get better," Burt said. "It's hard to balance school, friends and gymnastics but I think I do a pretty good job." 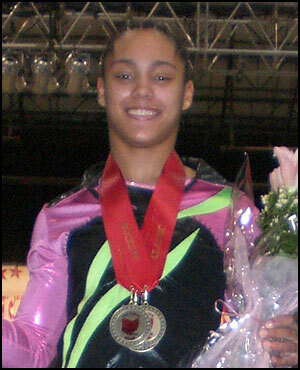 In 2011 Burt competed at the Buckeye Classic and was first in the all-around. She also placed first in the all-around at the Daytona Open this year. At the 2011 Flip Fest Invitational, Burt placed fifth in the all-around and came in third all-around at the Sand Dollar Meet. She has been competing at Level 10 for four years and is a two-time national qualifier. Stefani Catour loves to meet new people. She was homeschooled all of her life until this year when she began high school, and is having a blast in her new setting. She'll be meeting a lot more in March, when she participates in the Nastia Liukin Supergirl Cup. Catour is a determined 14-year-old gymnast at Desert Lights Gymnastics in Chandler, Ariz. She began gymnastics at four years old, and has been with coach Lisa Spini for about six years. She qualified for the Nastia Liukin Supergirl Cup at the WOGA Classic in Frisco, Tex., where she placed first in the all-around competition and first in vault and floor exercise. She also won the uneven bars and balance beam at the 2011 Charter Oaks Elite Qualifier, as well as finished second in the all-around. Her favorite event is floor because she likes to tumble and dance. She performs a full-in and also a one-and-a-half step out two-and-a half. Her goals in gymnastics are to make the U.S. National Team, participate in the Olympics and compete in college gymnastics. Catour is looking forward to competing with all of the great gymnasts who will be competing at the Nastia Liukin Supergirl Cup. Her greatest strength is her determination, but she has to keep herself from getting too overwhelmed by the older gymnasts against whom she competes. In her free time, she likes to go shopping with her gym friends at Aeropostale and Forever 21. Her sister, Tara, is a Level 10 gymnast. "Ali" Jackson started gymnastics later than most girls. When she was six, a friend convinced her to try it out and she has been hooked ever since. Jackson, 15, hails from Belton, Mo., where she trains at Xtreme Gymnastics. Her brother, Trevor, runs track and cross country. Jackson trains after school from 3 p.m. until 7 p.m. She puts a priority on her school work and takes time out of her day to make sure it get accomplished. In her spare time, she enjoys reading. Jackson's favorite event is the floor exercise, but admits that vault is usually where she earns her top scores. She has been competing at Level 10 for nearly two years. 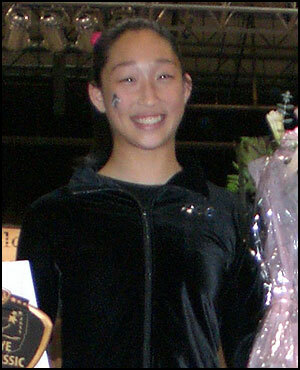 In 2010, she placed first in the all-around at the State Meet. In Regionals, she improved to first in the all around and qualified for the Junior Olympic National Championships. In 2011, she placed first in the all-around at the Buckeye Classic, a qualifying event for the 2011 Nastia Liukin Supergirl Cup. "I have great focus and don't easily get distracted," Jackson said. "It's hard to overcome fear at a meet. I sometimes get nervous right before a competition but I always push past it." While she has yet to look at colleges, Jackson is planning on getting an athletic scholarship and will start looking soon. 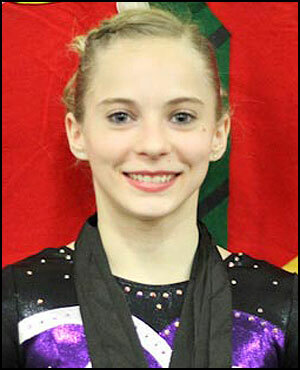 Mykayla Skinner is one of the few returning competitors from the 2010 Nastia Liukin Supergirl Cup. At the time she was just 13 years old, and finished an impressive seventh in the all-around competition and fifth on vault. This year, she is looking forward to using the experience she has gained during the past year to go even further in the competition. Skinner began gymnastics when she was five years old, following in the footsteps of her older sisters. She trains at Desert Lights Gymnastics in Chandler, Ariz., and has been with coach Lisa Spini for three years. Last year, Skinner won the all-around at the Fiesta Bowl Invitational, which qualified her for the 2010 Nastia Liukin Supergirl Cup. This year, she qualified at the Lady Luck Invitational in Las Vegas, Nev., when she tied for first in the all-around. 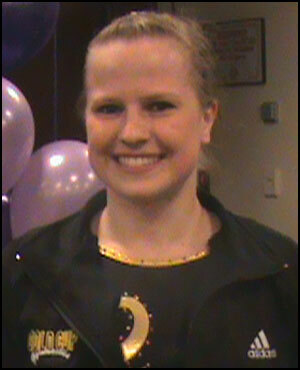 She also competed in the WOGA Classic, where she finished 11th overall and second on vault. Her goal in gymnastics is to make the National Team this year. She would also like to compete in collegiate gymnastics when she gets older, naming UCLA as her first choice. Her favorite event is floor exercise because that is where she has the most fun performing. Skinner recognizes her hard-working attitude and accomplishments thus far as her greatest strengths. She finds it challenging to compete against many different young gymnasts like herself, but always strives to do her best. Nicknamed Mikki, Skinner is looking forward to the possibility of attending a public high school next year because she has been home-schooled all of her life. In her spare time, she enjoys arts and crafts and likes to make jewelry. Skinner also enjoys being an aunt – she has four nephews and one niece, with a second niece due in May. Becky Tutka, a senior at Palisades High School in Upper Black Eddy, Pa., has loved gymnastics since a Mommy & Me class when she was a toddler. Her mother, Jill, was involved in acrobatics as a child and her father, Jim, was a wrestler. She trains at Parkettes in Allentown, Pa., and believes the best part of the gymnastics competitions are the trips to and from meets with her teammates, who are her best friends. A typical day for Tutka is going to school from 7:30 a.m. to 12:30 p.m., training at the gym from 1:30-7 p.m., doing her homework and then off to sleep. Like most gymnasts, there isn't much free time in her schedule. Good time management skills are necessary, she says, and while school is her priority, she hasn't had to make a decision between the two. Among her accomplishments are fourth place at the Junior Olympics National Championships in 2010 and first in the all-around at the 2010 Gymnix International. She scored a 9.9 on floor at the 2010 Parkettes Invitational. "I feel like I am a good leader," Tutka said. "I work hard and lead my team by example." In 2011, Tutka finished fourth in the all-around at the Excalibur Cup, a qualifying event for the 2011 Nastia Liukin Supergirl Cup. Tutka's goals are to win seven Pennsylvania Level 10 state titles in a row and to win an NCAA title with the University of Utah. Sixteen-year-old Tory Wilson of Albuquerque, N.M., began doing gymnastics at the age of four with a half-hour-a-week tumbling class and she has never slowed down. A senior at La Cueva High School, Wilson works hard to maximize her time at school and keep up with her training. She usually works out for an hour in the morning before school, and then trains for another three plus hours after school each day. "If I want it, I believe I can get it," Wilson said. "I'm strong-willed and I don't let fear get in the way of my goals." Wilson trains at Gold Cup Gymnastics Club and she enjoys working on the uneven bars. Her most unique move is a Tkatchev connected to a Geinger. Wilson has been competing at Level 10 for six years. In 2009, Wilson won the all-around at the National Invitational Tourney (NIT) and the following year was ninth all-around at the Junior Olympic National Championships. In 2011, she has placed first in the all-around at both the IGI Chicago Style and the Metroplex Challenge. "The best part of competing is showing everyone what we've all worked so hard for," Wilson said. Wilson plans to attend the University of Utah on an athletic scholarship. Her ultimate goal is to be successful and happy in college gymnastics. She also enjoys reading, going to movies, the outdoors, listening to music and spending time with her friends, as well as traveling and seeing new places.